- Closed dollar volume of $1.7 Billion. 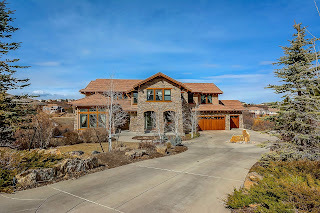 The April Denver home market saw more homes available for sale and more new homes coming onto the market, homes going under contract increased, and homes closed at increased prices. 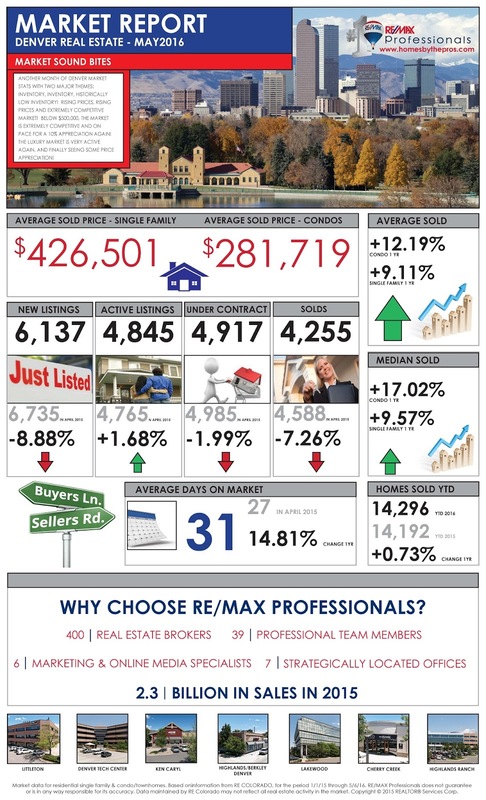 Buyer demand continues to outpace the homes available for sale. Buyers are becoming more creative in their offers and Sellers are looking at all options. Multiple offers, bidding wars, and appraisal and inspection issues continue to impact the home market. As always, be prepared. 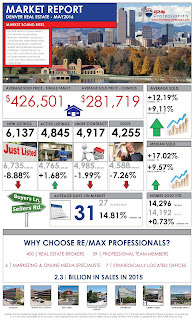 Now is the time to sell as the Denver home market is a Seller’s market, is strong, is healthy, and Buyer demand is greater than the number of homes for sale. As a Seller, you must know your home’s value and then have it listed at the right price. The Denver home market continues to be creative. Be prepared for multiple offers, bidding opportunities, and requests for incentives. Buyers look for a lasting impression such as curb appeal, energy efficient lighting, de-cluttered space, staged, and valued home improvements. Seller preparation includes a good pricing comparison analysis, instructions on staging, what are the top improvements and a conversation on how the market functions. As such, the homeowner looking to sell a home needs a professional who is a local expert, knowledgeable, and can assist in the Professional plan to sell one’s home. Buyers should give consideration to be in a secondary position on a home because the market is seeing an increase of contract terminations. Create your home buying plan and stick to it.